"Our expert team will meet your needs." Do you have a section curving problem that needs a solution? Perhaps others have told you that it can’t be done? You need to talk to the people at Advanced Metal Curving! 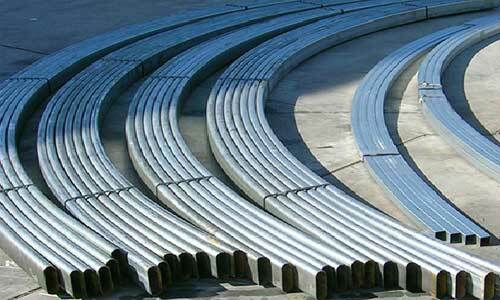 We provide specialised metal curving solutions for all sorts of projects – in Australia and around the world. Whatever your section curving or ring rolling needs, we’ll try our best to meet them. Give us a call today to find out how we can help with your project, or alternatively check out our metal curving capabilities page. Our expert team are extremely skilled, and will provide you with the highest quality of metal curving possible. We pride ourselves on producing work on time and within budget, every single time. So when you engage us to carry out your section curving job, you can relax knowing you’re in expert hands. Call us today on 07 3271 2225 to find out how Advanced Metal Curving can help with YOUR project. Copyright © 2019 Advanced Metal curving. All Rights Reserved.